The Tokyo Disney Resort Official Hotel has a view of Tokyo Bay and Tokyo Disneyland. 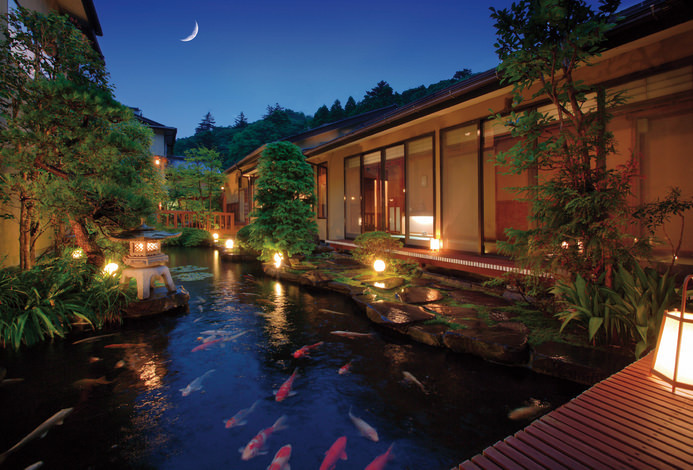 Only 20 minutes from Tokyo Station, this resort-like space will make you forget about the hustle and bustle of the city. The spacious and comfortable guest rooms are divided into 3 types. Based on the ukiyo painting of the Thirty-six Views of Mount Fuji by Katsushika Hokusai, the Hilton room incorporates the blue gradation in order to create a tranquil space. In the Happy Magic room, experience the world through the hotel's original fairy tale and its hidden secrets. The moment you get off the elevator you will be welcomed with illustrations of a forest, dragons, unicorns and more. "Celebrio" located on the upper floors sports an arty design. It's a bright, playful room filled with gentle curves and gentle colors like Aqua Soda Blue and Raspberry Pink. We have 5 restaurants and a bar inside the hotel that offer international cuisine. Additionally, we have state of the art exercise machines in the gym, a squash court, an outdoor pool, and a 24 hour convenience store. 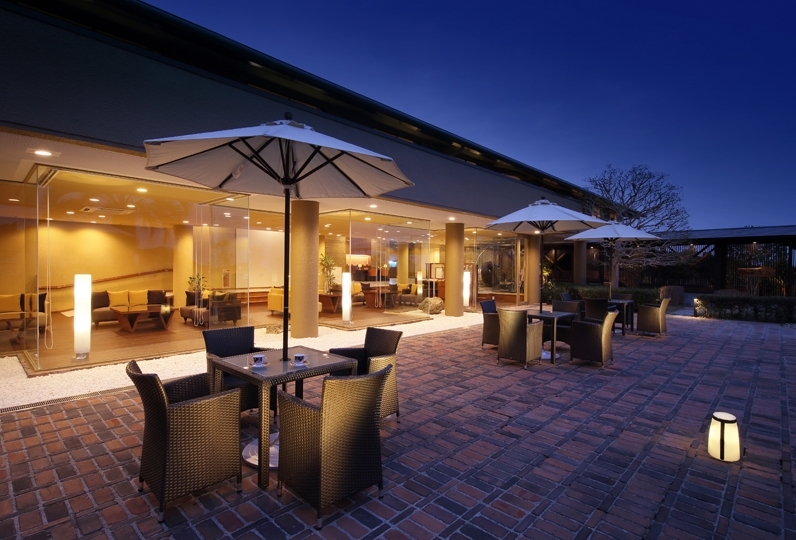 At the Hilton Tokyo Bay you can enjoy a resort-like stay that has convenient access to the airport or downtown. 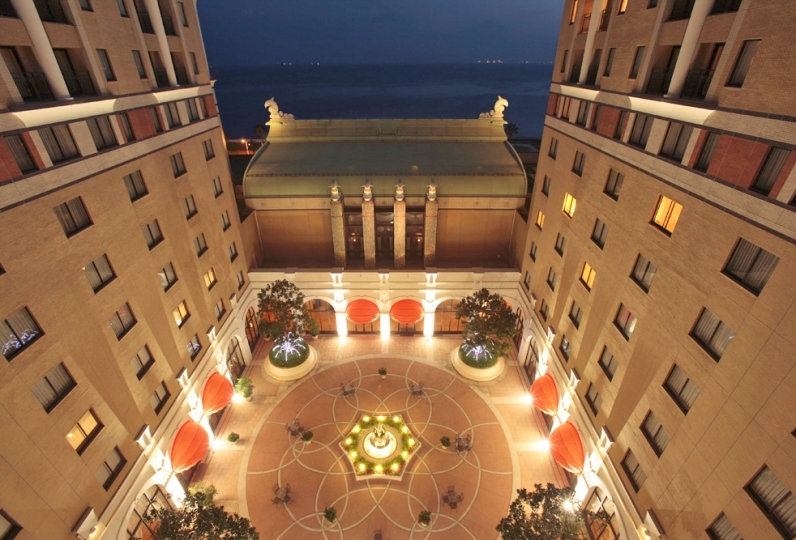 Make a memorable hotel stay with your family or with that somebody special. It was plan without meals for Disneyland and Si-2 days, but it was very convenient to have a convenience store. It was a room on the sea side, but even if I put four beds, it was very spacious and there was a sense of freedom, and I wanted to use it again in the room to be healed. I asked them to check the time of the bus from the hotel, and the bus driver was very polite and nice staff. The number and speed of the elevators were also satisfactory. It is a pity that only free Wi-Fi can not be used. I was delighted to upgrade the room on the day, but when I checked in I was shocked in a different room. After that, I was given the room as desired, but it took a long time, and it was late at night, so the children became sleepy and it was difficult. When I asked for temporary storage of luggage again, I was the same woman as the first, but I had a disgusting face. The amenities are a bit frustrating Facilities were hard to understand. It was difficult to understand the guide map. The customer service felt great. Especially Mr. W of the front staff. My job type is different, but since I am also accepting medical institutions, I learned that hospitality was like this. When I forgot to take the shuttle bus to the station, it was also very smooth to respond to the damaged part of the room. I apologized again for the above when I checked out, and I thought that I would like to stay at Hilton again next time with a careful response. It was a pity that the mirror in the wash basin had some stains on it and that there was a bath in the bathtub. I used it after cleaning myself. Speaking of greed, it would be nice if there were more breakfast menus. There is a convenient convenience store, there is a small child from the Bayside Station, and even if you have a small child there is no pain at all, and the whole family was able to enjoy Disney's trip for a pleasant two-night night. Thank you very much. The 1,700㎡ The Square offers Pan Asian cuisine at Forest Garden, Mediterranean cuisine at Accendo, and a bar lounge called Silva. Enjoy the view of the river and waterfalls from each section as our chefs prepare your meal in this open space. Our chefs handpick fresh ingredients for seasonal courses and cuisine from all over China. Located in the center of the lobby, you can enjoy the dessert buffet as sunlight pours in from the windows. At Fresh Connection you can get a morning coffee, fresh salads, freshly baked pizzas and paninis, and special made patisseries. Not only can you enjoy a wide variety of meals as take-out, we also deliver to every room. ※ Lounge O The dessert buffet is only available on Saturday, Sunday, and holidays. For more information please contact the hotel. You can check out or check in, have breakfast, refreshments, an evening cocktail or one of our other drinks, and enjoy Wi-Fi in this space designed after glittering water ripples. We offer a training gym, aerobics studio, squash court, and indoor pool. After sweating, you can have a refreshing bath or dry sauna. Let us guide you to your ideal beauty and health with relaxation that incorporates natural oil. * This lounge is exclusive for guests staying in the Celebrio Select or Celebrio Suite. During the period from October 1, 2018 to the end of May 2019, Hilton Tokyo Bay is undergoing extension work at part of the customer parking lot for facility improvement. ※ From Maihama Station use the hotel shuttle bus (free) (7 minutes to the hotel) or take the monorail from the Disney Resort Line Resort Gateway Station (adjacent to JR Maihama Station) and get off at the Bayside Station (about 4 minutes). 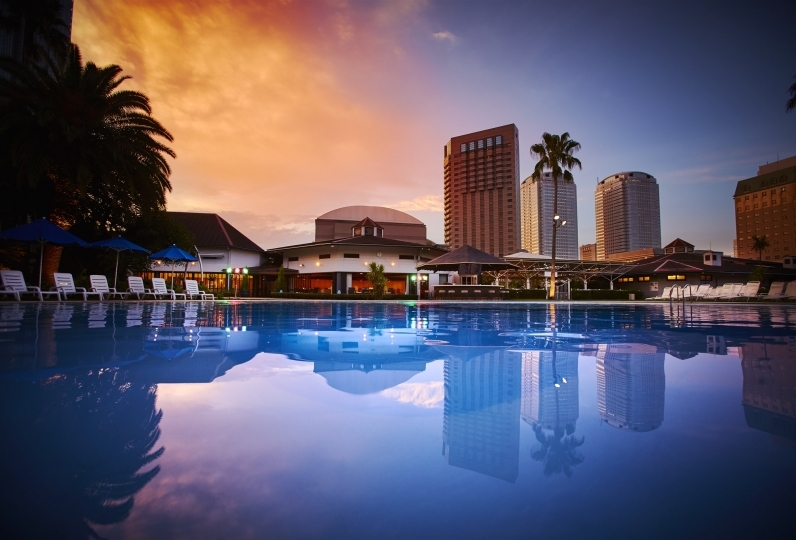 From Bayside Station to the hotel, it is about a 1 minute walk or you can take the free shuttle bus. 64 of people have viewed this page within the past 24 hours.